We prefer the word anti-Judaism to anti-Semitism created in Germany and which has grown with the racist theories of the nineteenth and twentieth century. Today we see that many young people mistakenly think that this term includes hostility against all Semitic peoples and do not understand that it cannot be included in anti-racism. The objective of this word is perverse and aims to establish a so called identification of persistent racial characteristics. After the expulsion from Judea, the Jews became gradually a European people to 74% in 1880 and 59 % in 1939. From the beginning of the Reign of Tsar Alexander III until 1914, the Pogroms cause the flight of more than two million Jews of Russia to the United States, but the Jews remain widely a European people until 1939. Anti-Judaism in Europe and the Dreyfus Affair in France raise awareness of the danger of being hosted without nation in a hostile world. In 1895 Modern Zionism is born as a solution for survival. The Pogroms illustrate particularly well the precariousness of Jewish people when they depend on foreign authorities and in 1922 the League of Nations entrusts the UK, mission to establish a Jewish national home in Palestine. The League of Nations acknowledges thus that the European countries where most of the Jews live are not able to ensure their safety or home (e.g. the Alien Act of 1905). 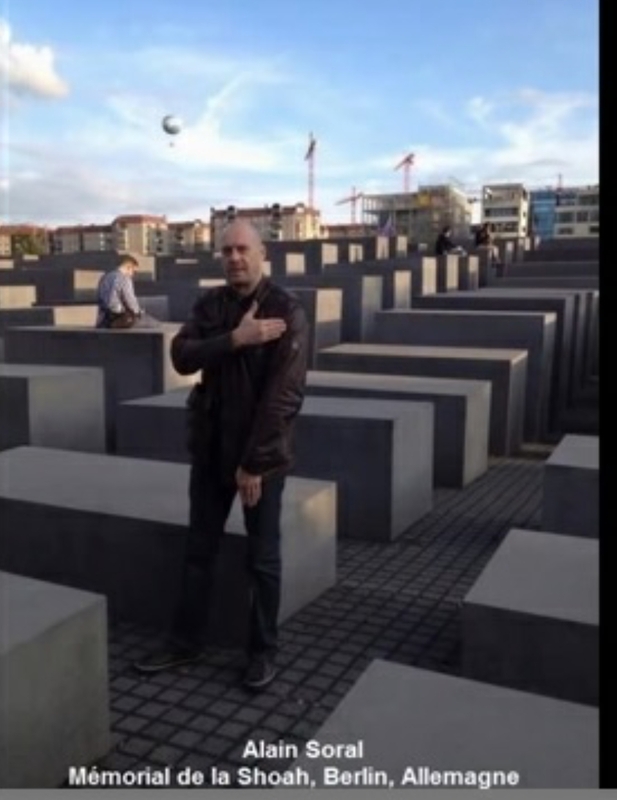 European Anti-Judaism and racism inspire various political movements including Nazism that gets through elections, the power to implement its Pan-German and anti-Jewish project. At the beginning of World War II, the majorityof continental European States are or become in varying degrees dictatorships favorable to Germany. 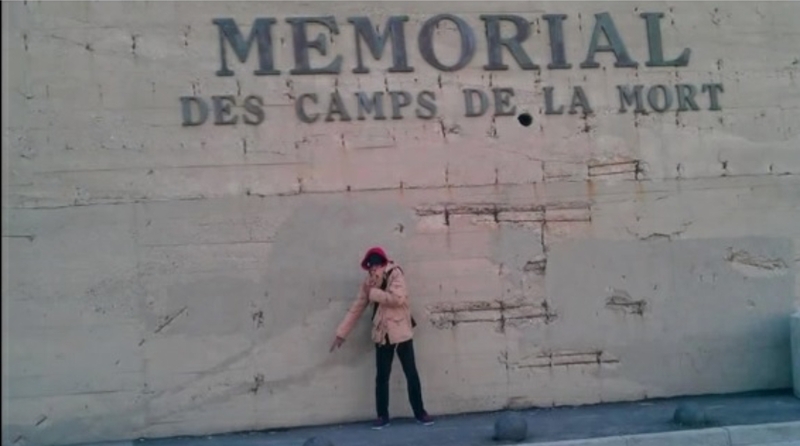 62.5 % of the European Jewish people are killed during the Second World War; this constitutes, as a result of this proportion and of its allegedly racist motivations, a genocide whose nature is unique in History. When the extermination of Jews was underway, the western allies duly informed do not give a priority to its halt and their intervention in continental Europe only starts when the Germans are on the path to defeat. The survival of 37.5% of the European Jews is due to the ongoing effort on the battlefield of the USSR to defeat the Nazi Germany. Europe having again demonstrated its inability to protect the life of the Jewish people, the United Nations vote for the creation of a Jewish state in Palestine in 1947. The slaughters of Jews in Europe during the Second World War and their escape from this dangerous continent is the reason for the dramatic fall of the European Jews population to only 10% of the Jewish people. In 2010, 80 % of Jews live in the U.S. and in Israel. 42 % of the world Jewish population lives in Israel who clearly plays his role of Jewish nation. Collective responsibility of Europe with regard to the quasi-disappearance of the Jewish people in Europe has never been brought before an international court of Justice. For various strategic and political reasons the international justice limited its scope to Germany whose role was of course predominant; Germany is the sole country to have paid indemnities. However, the European anti-Judaism cannot be limited to the WWII because it is an ongoing phenomenon since the Diaspora still very much alive, although the number of Jews in Europe is reduced to 1,425,000. 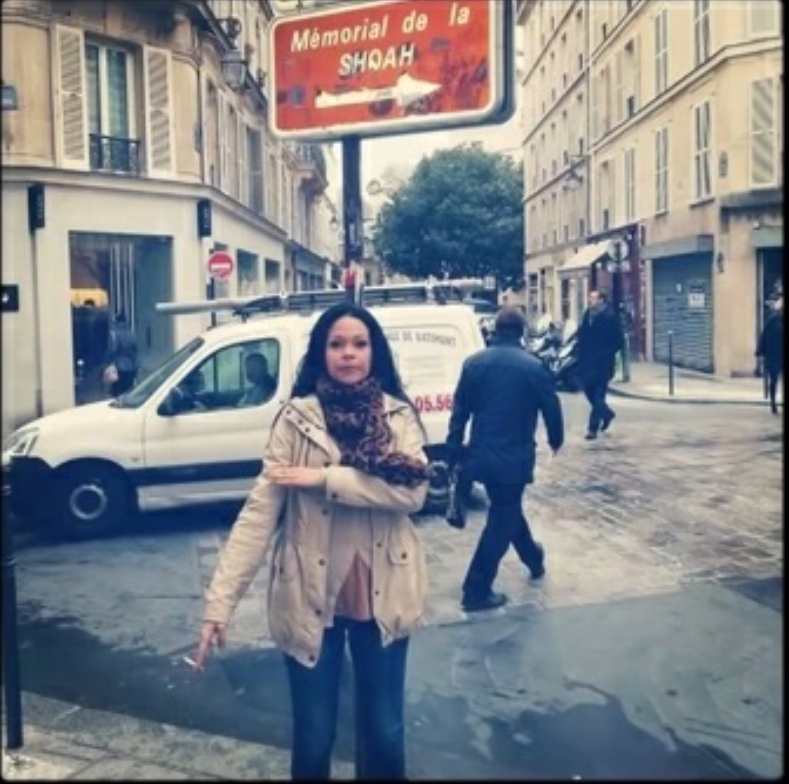 On 28 September 2000, the second Intifada is followed by a movement of solidarity in the world against Israel and very visible in France, where the Muslim community is important. Anti-Judaism found a new force among Muslims by assimilation of Jews to Israel, among Christians by reference to the immutable doctrine of the Church, in the right and far right wing by reference to anti-Semitism and conspiracy theories and in the left wing under cover of solidarity with the Palestinian people assimilated to the exploited and colonized third world. Whatever is the alleged pretext, the underlying motivation is the same: "anti-Judaism." It has become a vector of the hatred at least lurking in the unconsciousness of the minds after one to two thousand years of rooting, when it is not clearly expressed. The Israeli-Palestinian conflict concerns about 12 million people from both sides out of a world population of 7 billion witnessing many bloody conflicts, but has one of the largest global media coverages. The 361 foreign journalists officially listed are only a small part of the reality of the large numbers of freelancers, special correspondents and other bi-national journalists. This coverage amplifies and distorts the size and nature of the conflict and allows the Europeans to find a basis for their anti-Judaism despite the disappearance of almost all Jews from their continent. On 3 June 2008, the Prague Declaration assimilates Nazism and Communism and accordingly their victims and paves the way for the idea of ​​double genocide. The uniqueness of the horror of Nazism and the Holocaust is thus totally obfuscated for political considerations. The Holocaust and its victims rank second as the commemoration date proposed for all victims is that the Molotov -Ribbentrop Pact. On 23 September 2008 the European Parliament relays and supports the Prague Declaration. Meanwhile the theory of the double genocide which obfuscates the uniqueness of the Holocaust seems to be making progress even within the European Commission. After the Revolution of 1789, France becomes the country of Human Rights and equality between all citizens. Jews are emancipated but eventually the anti- Judaism reappears quickly. In 1847, the anti-Jewish Alphonse Toussenel , defines the Jew in his book "The Jewish kings of the era" as " an unproductive parasite , living from the substance and the work of others " and adds " " ... I understand the persecution by the Romans , Christians and Mohammedans did to Jews. The universal repulsion that the Jew has inspired so long was only the fair punishment for his implacable pride ..."
We are struck still today by misunderstanding of the concept of the chosen people by which the Jewish people must respect the Alliance with God with docility and constraints according to Bible. There is no ethnocentric sense of superiority there, but a commitment to respect a flawless monotheism. In 1886, Edouard Drumont writes the book "Jewish France", and imports from Germany the word anti-Semitism based on pseudo- scientific theories that seek to determine that the Jewish people is a race; the purpose of it being to demonstrate that their assumed faults originate from their race and thus they cannot improve; we can already see there what will feed the idea of the final solution. In 1894, Dreyfus Affair begins with sending Captain Dreyfus to penal colony but actually ends in 1906 with the recognition of his innocence by the court of cassation. Meanwhile the Dreyfus Affair leads Theodor Herzl to understand the vital interest of modern Zionism in order that the fate of the Jews no longer depends on the whim or mood of their hosts. In 1940 the Republic entrusts his fate to Marshal Petain, who becomes the best anti-Jewish collaborator of Nazi Germany. 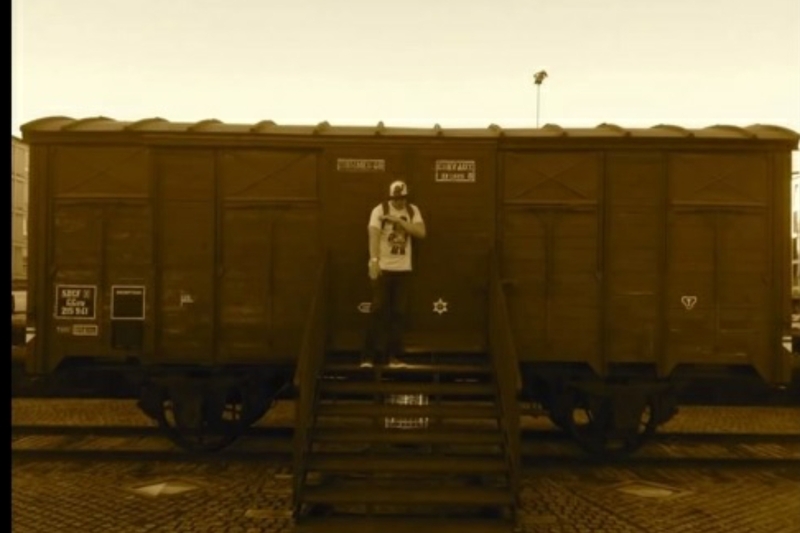 In 1940 he takes anti-Jewish steps and creates in 1941 the authority on Jewish affairs that implements segregation, spoliation, arrests and eventually deportation of the Jews. From 1954 to 1956, Pierre Poujade creates an organization for the defense of small traders who adopts anti-Jewish stereotypes and insults the Jewish members of the government: "By whom are we governed? By people who do not even dare to say their name: Mendes Portugal, married to an Egyptian Jew, Solomon Hirsch Ollendorf called Granval and Soustelle Ben Sousa, it is important to unmask them and punch them in the face" In 1956 fifty Poujadists are elected to Parliament including Jean Marie Le Pen. In 1967 Egypt blocks the Strait of Tiran and Israel turns to General De Gaulle who indicates that "1967 is not 1957," the Arab policy of France having changed in favor of Arab countries. Threatened by the blockade and the military preparations of Egypt, Syria and Jordan followed by those in Iraq, Sudan, Kuwait and Algeria and fearing of being destroyed, Israel starts fighting on June 5, 1967 and wins the war. According to General De Gaulle the attack is not commensurate with the risks and puts Israel, endowed with French military equipments in danger by implementing an embargo. He also states that: "The Jews are an elite people, confident and domineering." Despite these stereotypes that could be close to those of the anti-Jewish Alphonse Toussenel, General De Gaulle merely says the very worried Chief Rabbi of France that he is not an anti-Semite. 1969 is the year of "the rumor of Orleans." The Jewish clothing merchants of Orleans are accused of kidnapping women in their fitting rooms for resale abroad. 26 kidnappings are mentioned and all are denied by the police. Rumor indicates that fitting rooms are connected by a tunnel to the river Loire which is in this place one meter deep and not navigable and that a submarine is waiting. This is interesting because it shows that anti-Jewish medieval rumors may arise in the second half of the twentieth century and that education is powerless to eradicate a bimillenary hatred. 1974-1993 - The longstanding relationship between François Mitterrand and René Bousquet, who led the Vichy's police and organized the arrests of Jews come to public attention after the presidential election of 1981.En 1989, the Association of sons and daughters of deported Jews from France, the National Federation of deportees and Internees resistants and patriots and the League of the Human Rights file a complaint against René Bousquet for crime against humanity. René Bousquet is assassinated in 1993 and died with his secrets. 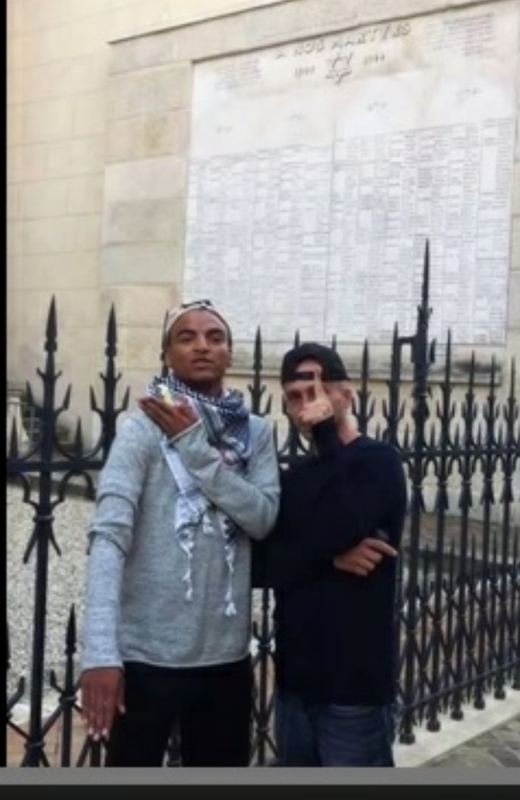 In 2006 a gang of 27 hooligans led by Youssouf Fofana kidnaps the young Jew, Ilan Halimi, a salesman in a phone shop. They think getting a ransom from his family because they assume that all Jews are rich and finally ask a Rabbi (found in the phone directory) to reap a ransom of 500,000 Euros. This gang torture Ilan Halimi for 3 weeks and the latter dies in horrible conditions as victim of anti-Jewish stereotypes. 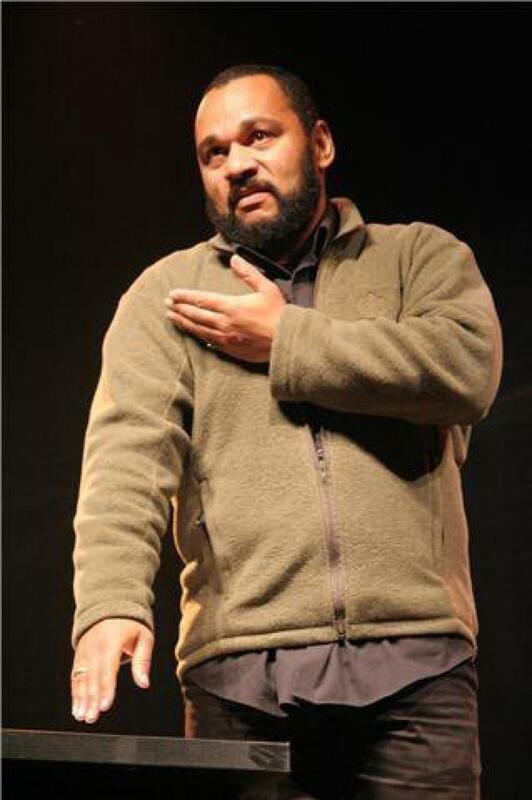 On March 19, 2012 Mohamed Merah a Franco-Algerian Islamist terrorist kills in a Jewish school of Toulouse, a teacher and his son and the daughter of the principal; he also shot to death three French soldiers. 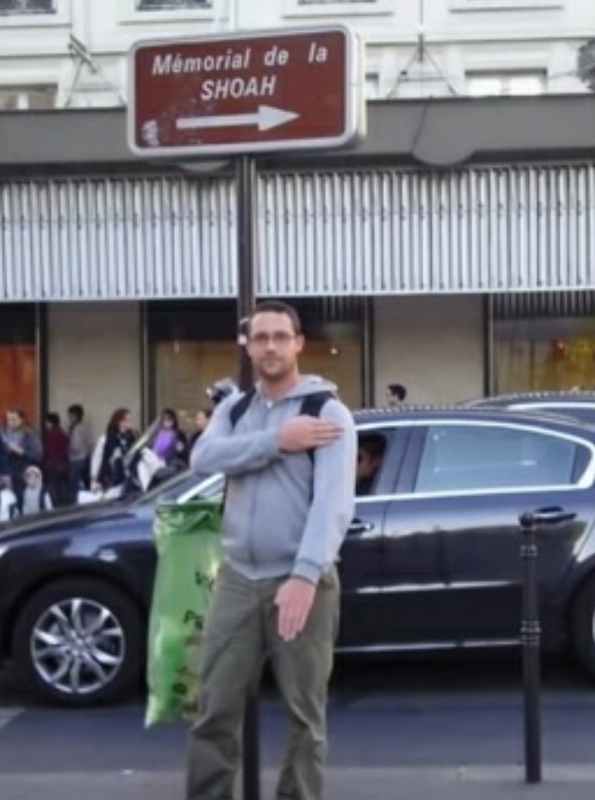 2013-2014 - The case of Dieudonné M'Bala M'Bala is interesting because it reveals the extent of French anti-Judaism. For him, the anti-Judaism is both an obsession and a source of enrichment due to the wide audience that it brings also on the basis of the conspiracy theories about Jews and the USA and allows him to be supported by the Iranian authorities. A tour of his show should have been held from January 23 2014 in 23 theaters with an average capacity of 6,000 seats each priced at around 38 Euros. Finally the tour is prohibited but this can be circumvented by Internet that spreads its anti-Jewish and conspiracy convictions. Revenues from anti-Judaism from show tours, Parisian theater and by-products amounted to several million of Euros increased according to the French Minister of the Interior by the financial support of Iran. 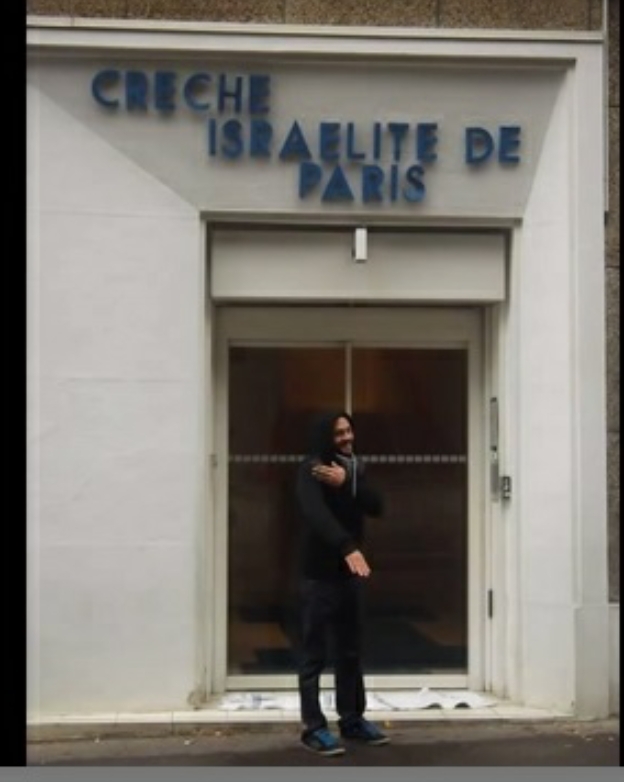 Dieudonné M'Bala M'Bala has launched campaign of mockery of the Holocaust which is a great success and his supporters make a rude gesture "quenelle" he has created, in front of anything related to Judaism and Holocaust and is de facto an approval of the final solution - see appendix. It attracts a massive uneducated audience from various populations: far rightists, Muslims, denatured supporters of Third world and people who feel rejected by the economic system. From 1880 to 2010, the share of the world Jewish population in Europe decreased dramatically from 74% to 10%. This reduction is mainly due to massacres over a period of only 65 years (1880-1945) and to the mass flight of the survivors out of this dangerous continent, essentially to the U.S. and Israel. 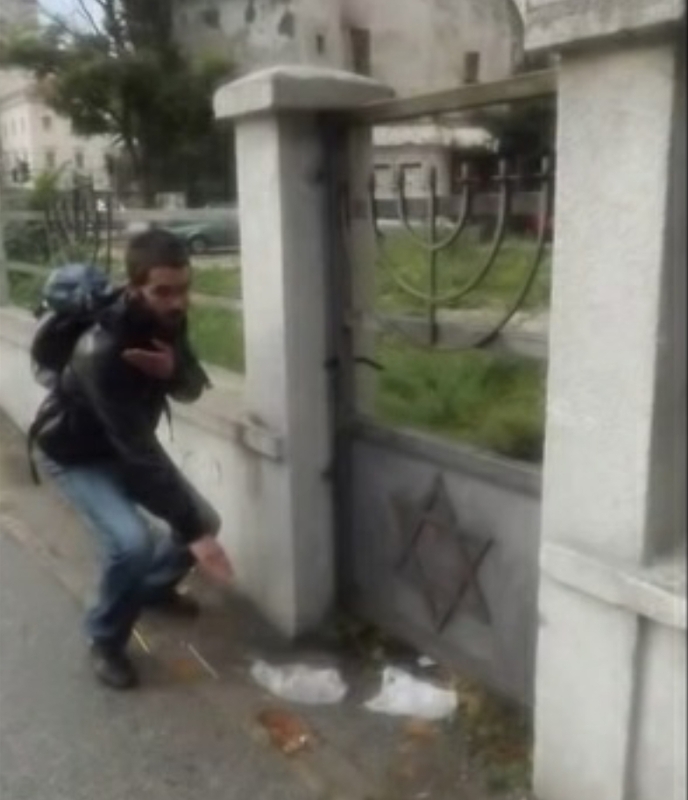 The European anti-Judaism has reached its target since no more than 1,425,000 Jews remain in Europe but this figure seems yet too big for the Europeans. As a matter of fact the European anti-Judaism seems incurable since it is prevalent in countries where there are no more Jews. The fact that the Jewish presence is not necessary to create anti-Judaism shows that the Jews are not more than a vector of the expression of hatred and frustrations of the European peoples. Approximately 34% of the European Jewish population (480,000 people) lives in France and forms now the first Jewish community of Europe. 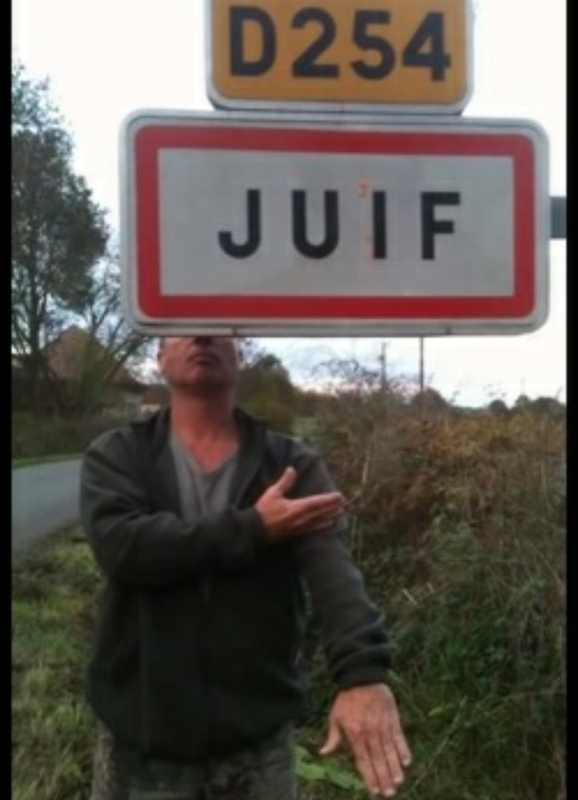 The Jewish community of France suffers from a hatred expressed in different ways according to the various eras and which rise again sharply today. The case of Dieudonné M'Bala M'Bala merely reflects this situation. On January 14, 2014, the Arab group of UNESCO has worsened this poisonous atmosphere in requesting and obtaining from the UNESCO the cancellation of an exhibition organized in its premises in Paris by Simon Wiesenthal Centre-Europe on the relationship between the Jewish people and his land whose evocation would be detrimental to the peace process according to the Arab group. This group goes beyond politics and disputes now theological issues of Judaism. This intolerance supported by UNESCO questions seriously the interest of any negotiations as long as anti-Judaism remains high. Anyway Israel might have to welcome all or part of the last Jews of Europe who would feel forced to leave this continent. In a street named dead-end street of the furnace. 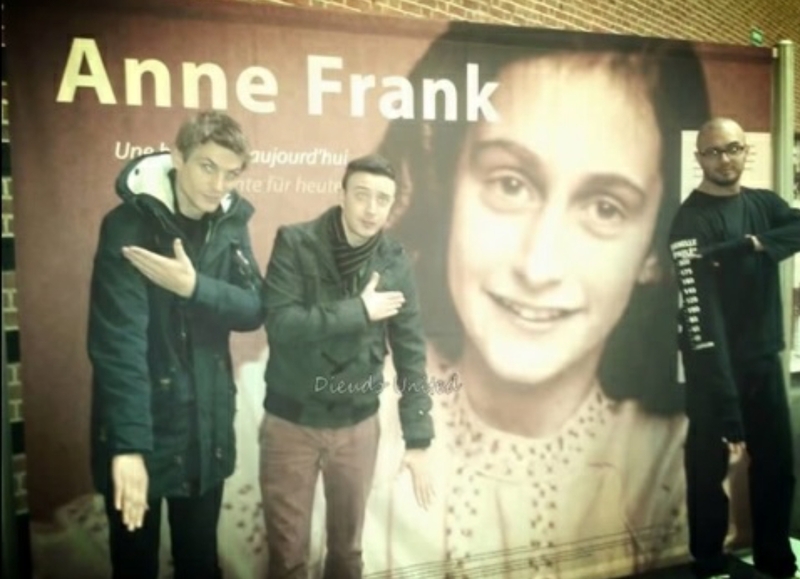 Dans les deux photos suivantes les manifestants masquent leur visage avec une image d'ananas pour ne pas être reconnus et pour faire allusion à la chanson de Dieudonné M'Bala M'Bala dénigrant la Shoah et dont le titre est "Shoahnanas" qui mélange les mots Shoah et ananas. 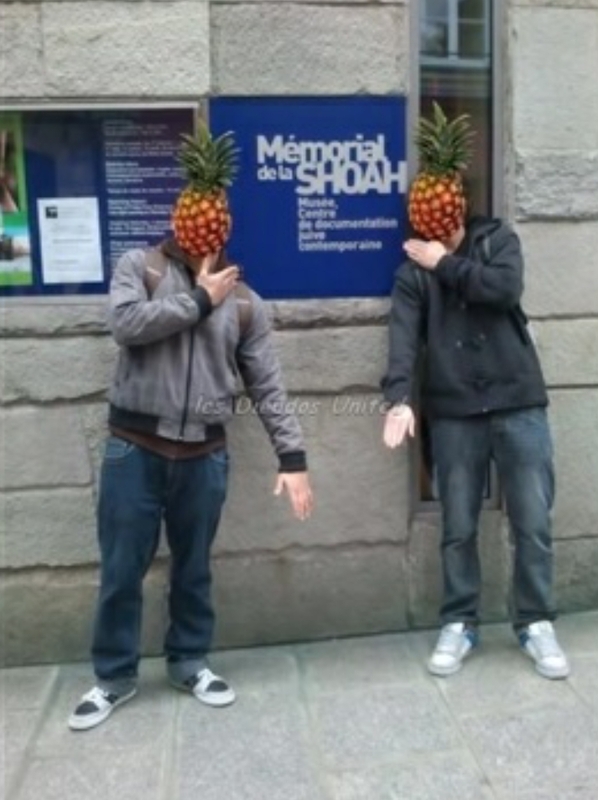 In the two following photos the people mask their face with a picture of pineapple in order not to be recognize and as an allusion to the song of Dieudonné M'Bala M'Bala mocking the Holocaust and titled Shoahnanas which is a mix of the words Holocaust (Shoah) and pineapples (ananas).